Moqhaka Local Municipality has set aside an amount close to R6 million in an effort to protect the local sport ground in Phomolong township, Kroonstad. The project include the upgrading and paving of 60.5 x 42.5 meters and 83,9 x 51 meters of parking areas and also involves the construction of 1,3km palisade fence around the ground. 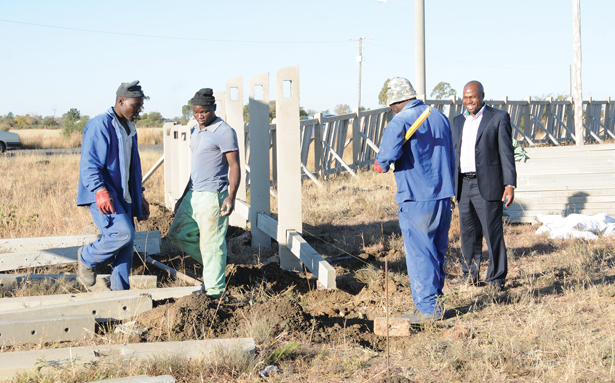 The municipality’s technical director, Sonnyboy Mokgatle, said it is important to ensure that the ground is protected against any damage so that it can last for generations to come. “People are trespassing through the sport ground and end up vandalizing it instead of protecting it for future generations. 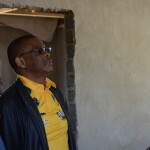 The fence also seek to avoid animals turning the sport ground into a kraal,” said Mokgatle. He said the six month project is expected to be completed in August this year. The project received funding from the Municipal Infrastructure Grant (MIG) and also created 21 job opportunities for local people. Modiehi Lebitsa (19) said she believes that many people will be able to realize their talent through using the ground after its completion. “The upgrading is going to benefit many people in the community who really have talent but cannot practice and better their opportunities of becoming leading sport icons in the country. I wish that this was done long ago. I was interested in playing football but had no place to practice and train. I wish that people will utilise this opportunity given to them and make the best out of it,” said Lebitsa. Mokgatle further announced that the municipality has recently allocated huge amounts of money for future development of sport facilities around the municipal area. Future projects include upgrading of Loubserpark sports facility with R7.3 million during 2015/2016 financial year while R4.8 million will be spent to upgrade the Rammulotsi Sports Centre in the same financial year.